Evan Halloran, a long time Jacksonville resident highlights the story behind Jacksonville's struggle with sprawl. The city of Jacksonville sprung up from the marshland, farmland, and river ways of Northern Florida, after numerous cultural insertions and wars stretching back centuries. Still a major port today, Jacksonville established itself as an integral Southern trade hub in the mid-19th century, as the population settled along the St. Johns River. It was here where business took place, Jacksonville neighborhoods were established, and the population grew. In 1840, the population of Jacksonville was around 350 residents – nearly 2,500 times smaller than it is today. With barely 2,000 residents by the end of the civil war, Jacksonville’s population increased to 17,000 by the late 1880s due to the economic benefits of serving as a Reconstruction era port and Gilded Age winter resort community. This expansion was culminated in 1887 with the annexation of neighboring suburbs such as LaVilla, East Jacksonville and Fairfield, which are all now recognized as a part of the city’s historic urban core. 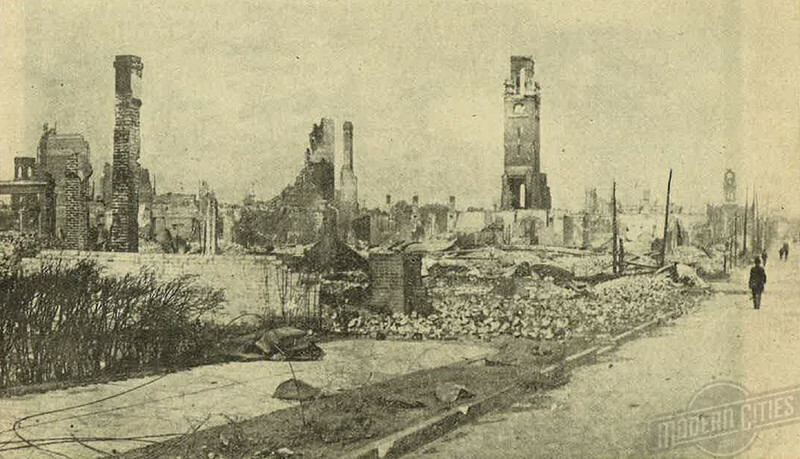 Jacksonville following the Great Fire of 1901. After being destroyed by the third largest urban fire in US history in 1901, Jacksonville’s population jumped 103% by the 1910 census as a result of a reconstruction boom that transformed the city into Florida’s major railroad and maritime gateway. By 1950, Jacksonville had grown to become a compact 30.2 square mile city with a population density of 6,772 residents per square mile. Much of the city’s early 20th century pedestrian scale growth pattern was a result of a 60 mile network of streetcar lines operated by the Jacksonville Traction Company and its predecessors between 1879 and 1936. 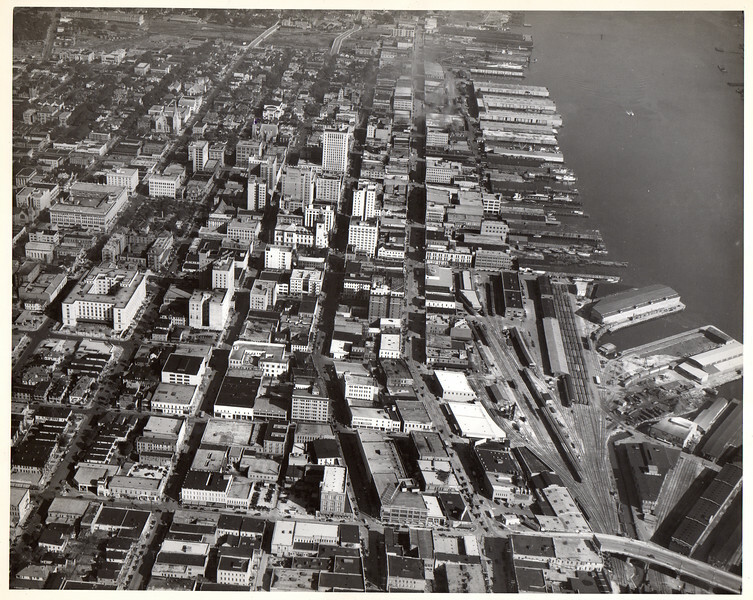 An aerial of a pre-World War II walkable Jacksonville.